Customize your own keyboard with your favorite pictures! 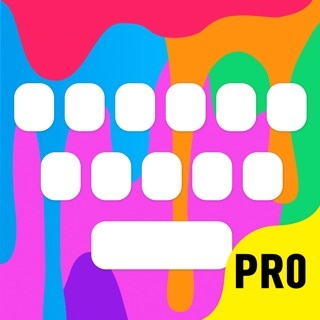 With RainbowKey integrated, you can create your keyboard with cool fonts, colorful pictures and cute emoji! • Support all types of applications on your iPhone, iPad and iPod touch. * Unlock all themes and stickers. * Unlock all costomized items to make unique keyboards. * Create as many custom themes as you wish. * Rainbowkey Plus subscription priced at $19.99/month with a 7 day free trial. * This price is for United States customers. Pricing in other countries may vary and actual charges may be converted to your local currency depending on the country of residence. * Payment will be charged to iTunes Account at confirmation of purchase. * Your subscription automatically renews unless auto-renew is turned off at least 24-hours before the end of the current period. * Your account will be charged for renewal within 24-hours prior to the end of the current period, and identify $19.99 every month. * We also provide a 7-day free trial of Rainbowkey Plus. Your trial period will begin immediately when you confirm your payment and it will last 7 days. No money will be charged or held in your iTunes account before the end of your trial period. If you did not cancel at least 24 hours before the end of trial period, monthly subscription will start for $19.99. * You can manage your subscription and switch off the auto-renewal by accessing your Account Settings after purchase. * You cannot cancel the current subscription during the active subscription period. * Any unused portion of a free trial period, if offered, will be forfeited if you purchase a subscription to that publication, where applicable. Many minor performance improvements and bug fixes. Thanks for using Rainbowkey! Je la conseille fortement ! Faites quand même attention aux achats in app ! 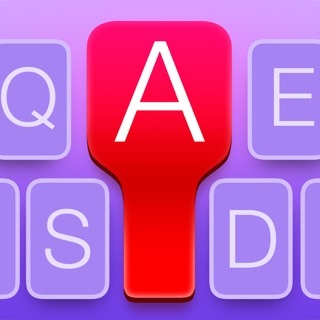 Thèmes de Claviers Pro - nouveau clavier personnalisé peaux pour iPhone, iPad, iPod.